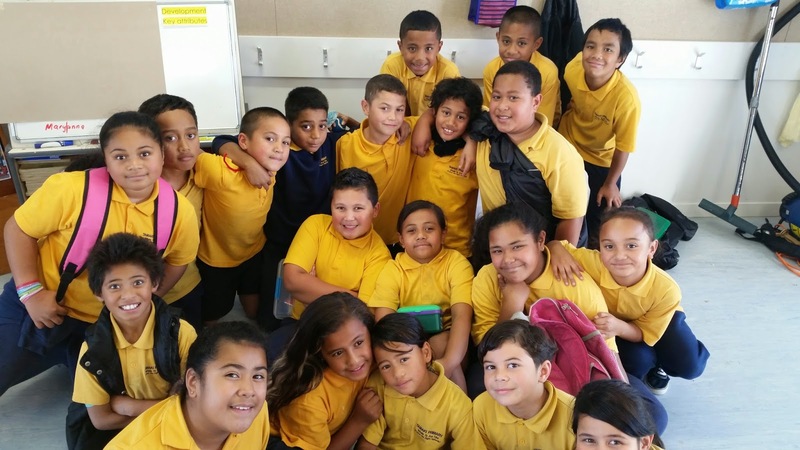 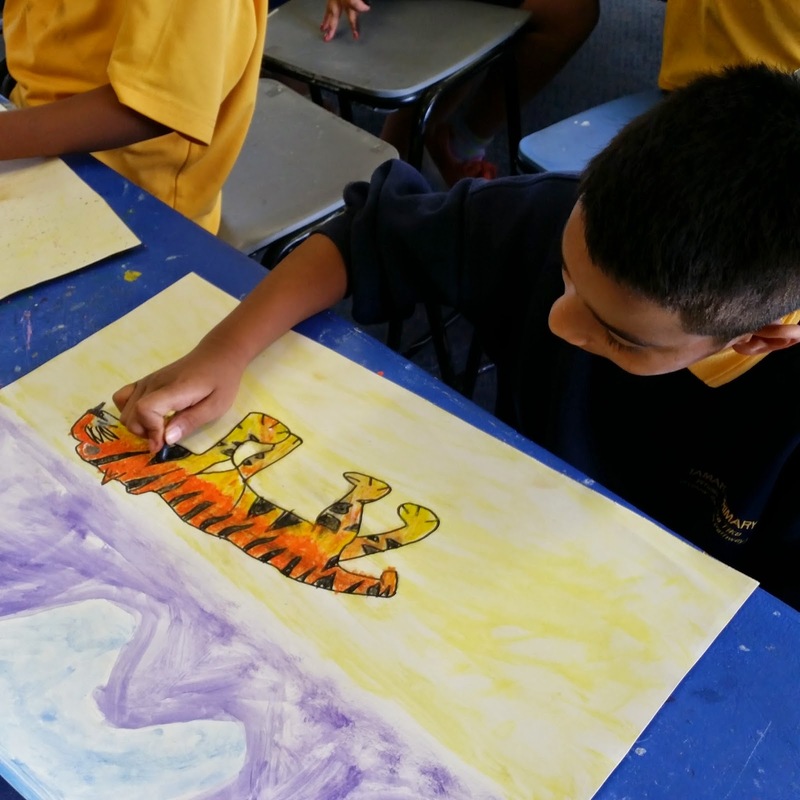 Today, Room 4 came to the Art room for their Art Day! 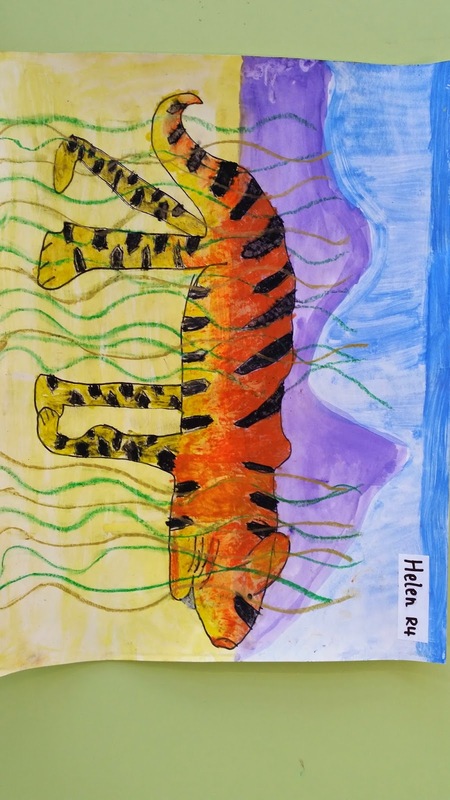 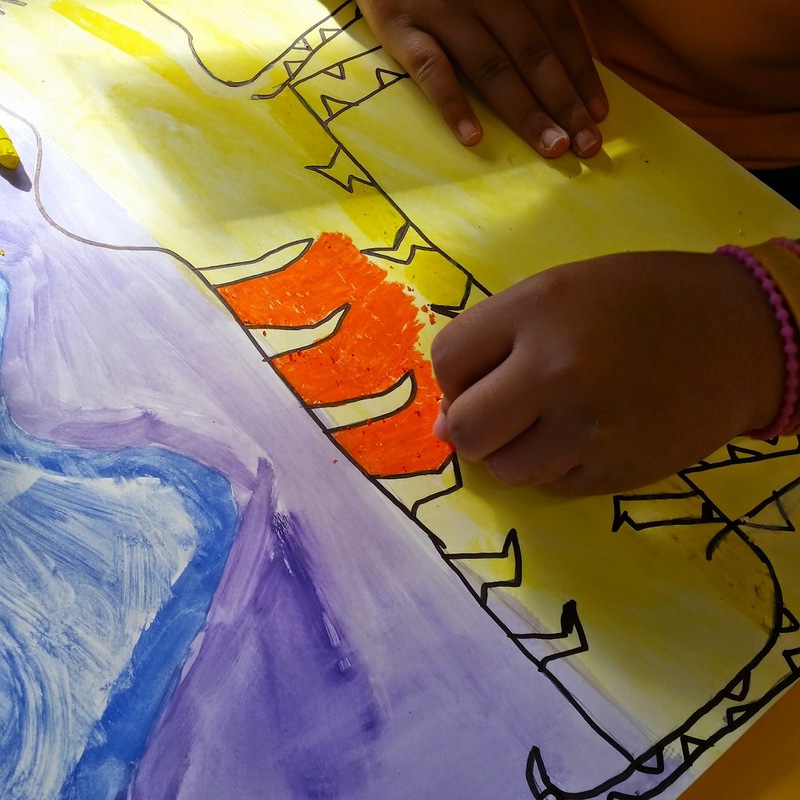 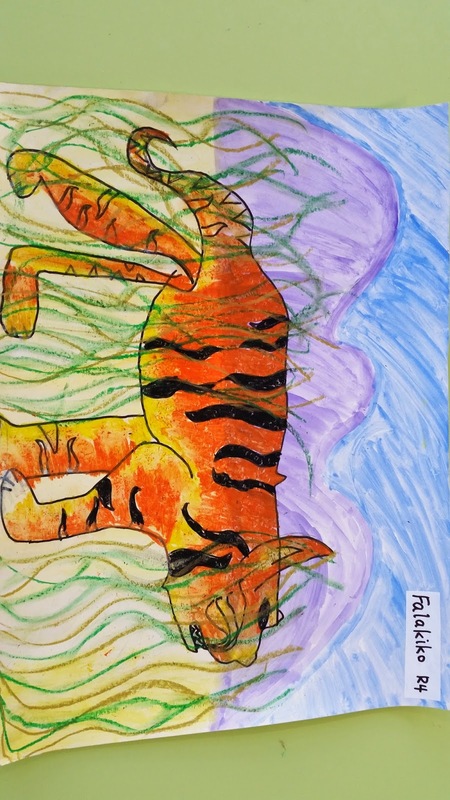 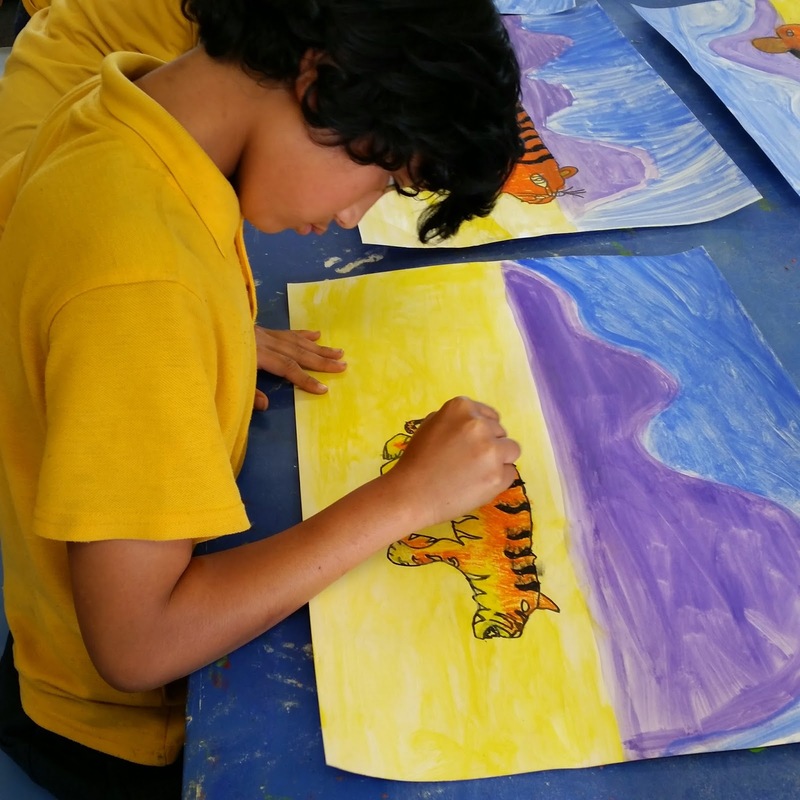 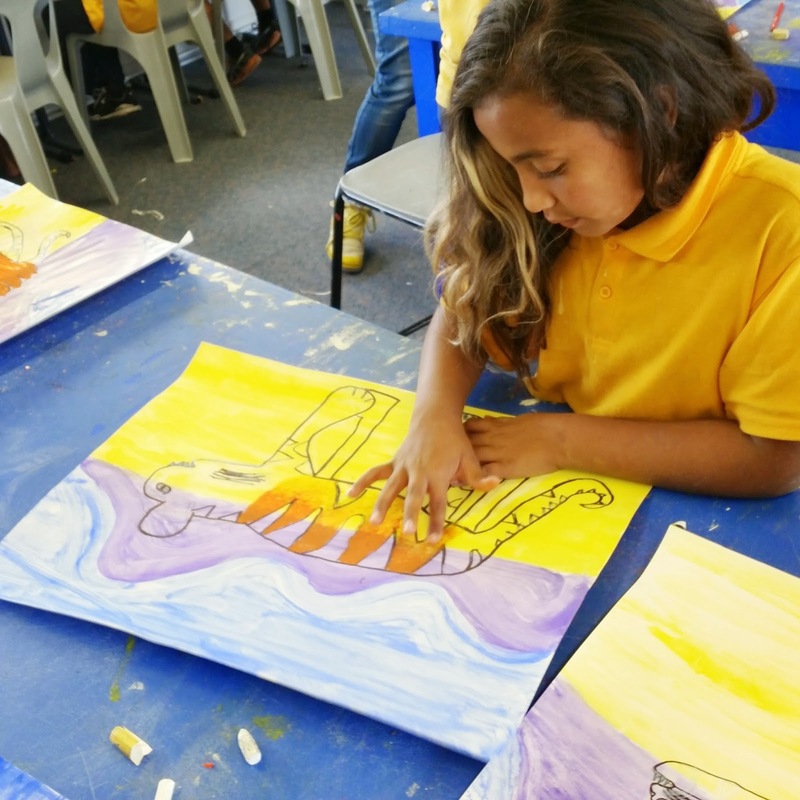 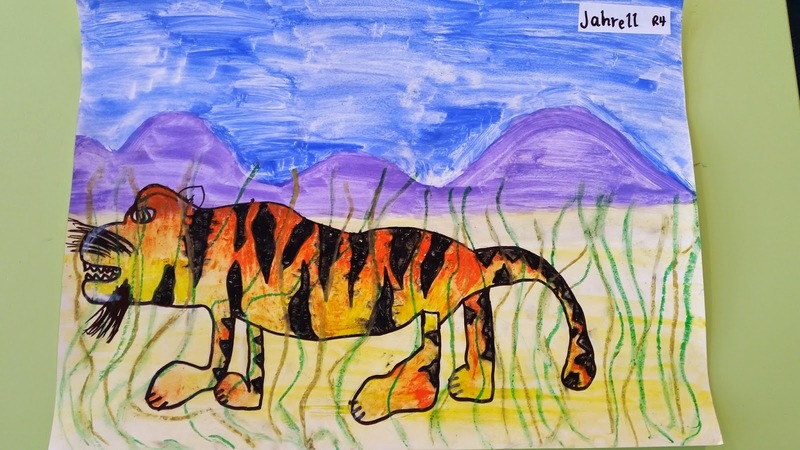 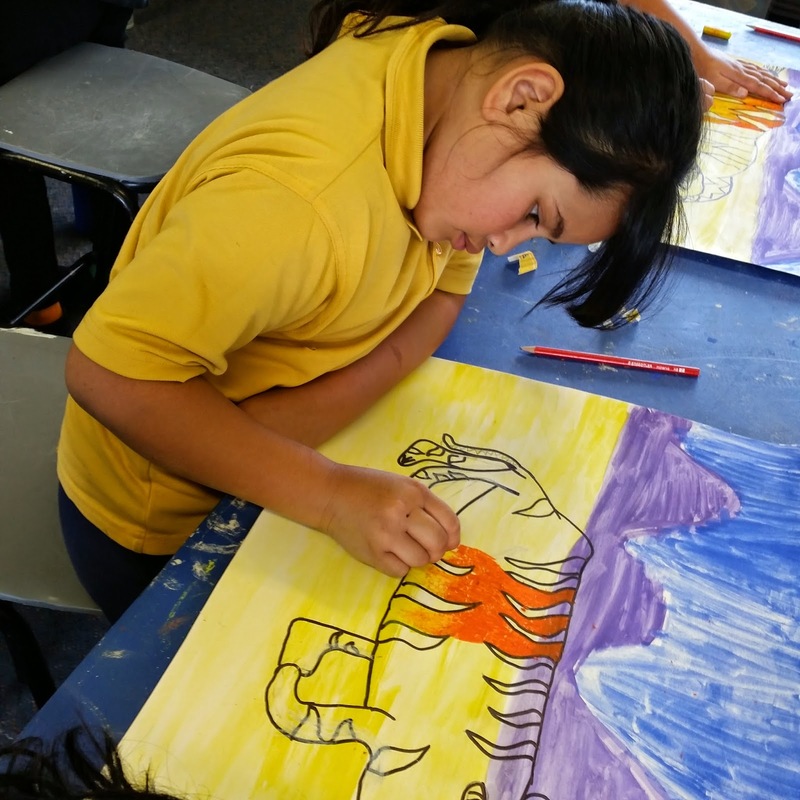 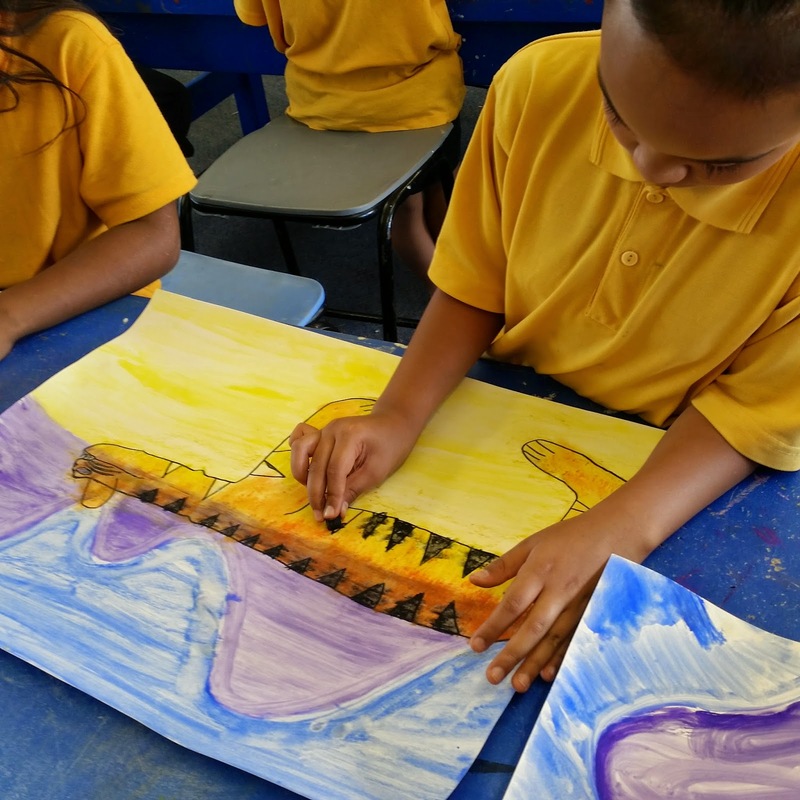 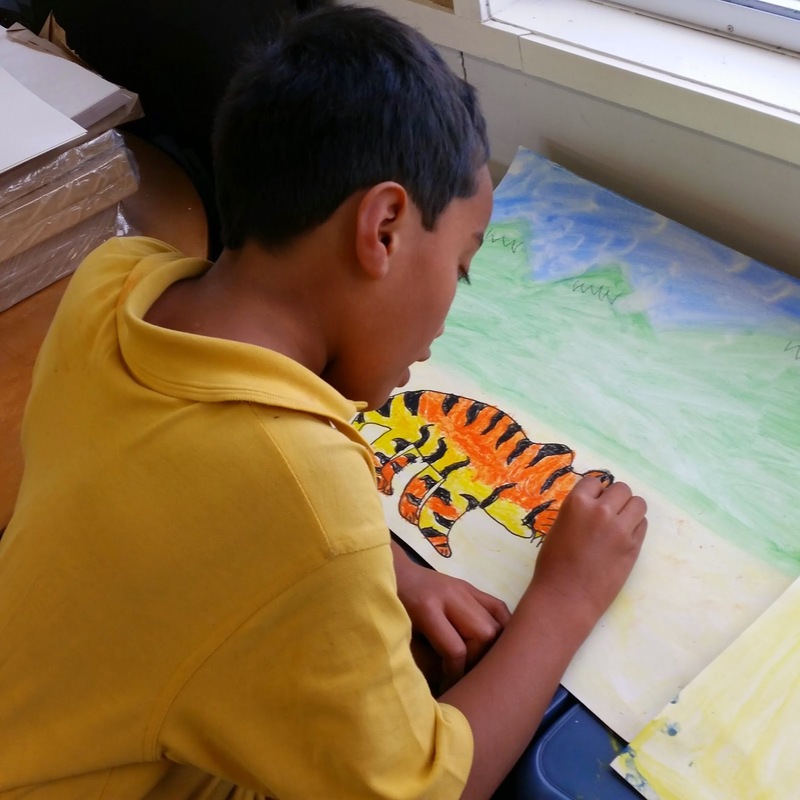 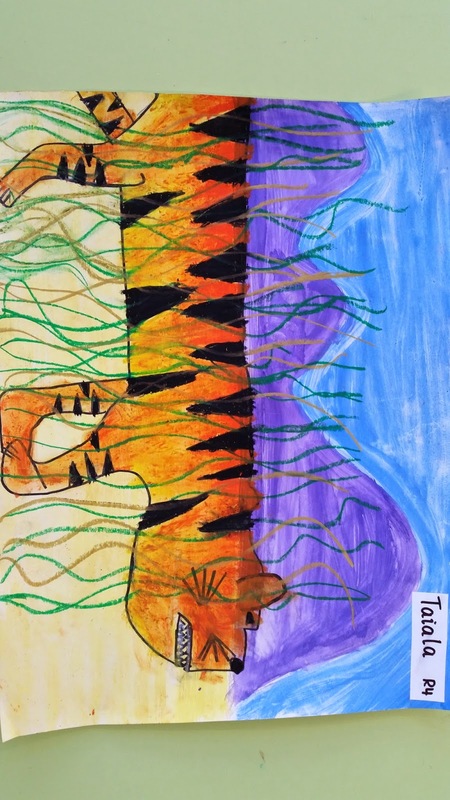 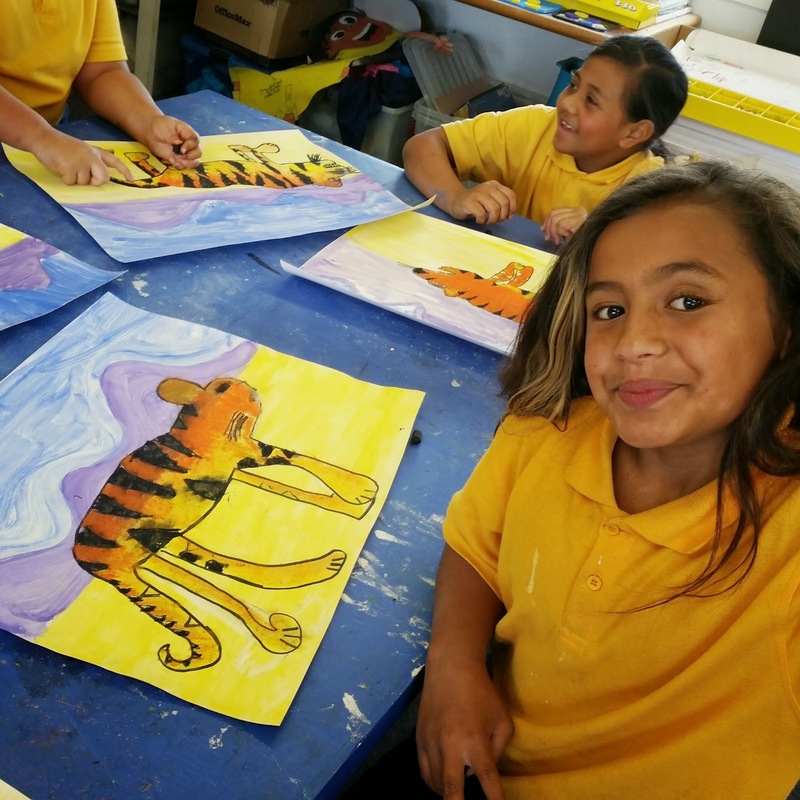 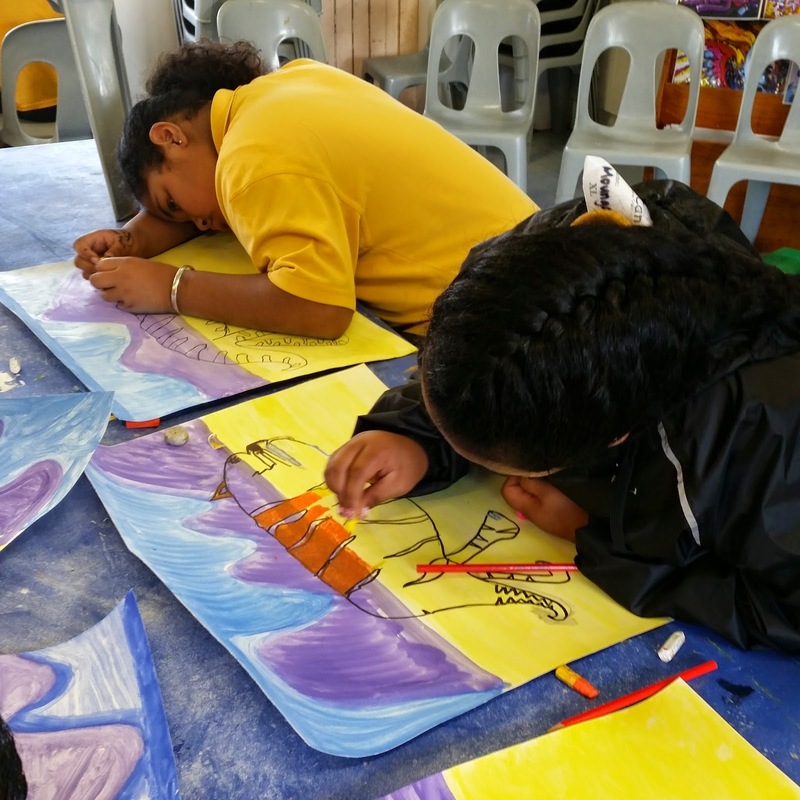 Room 4 had been reading 'The Tiger Rising' by Kate DeCamillo with their teacher Ms Macfarlane and wanted to learn about how to create a piece of artwork using a tiger! 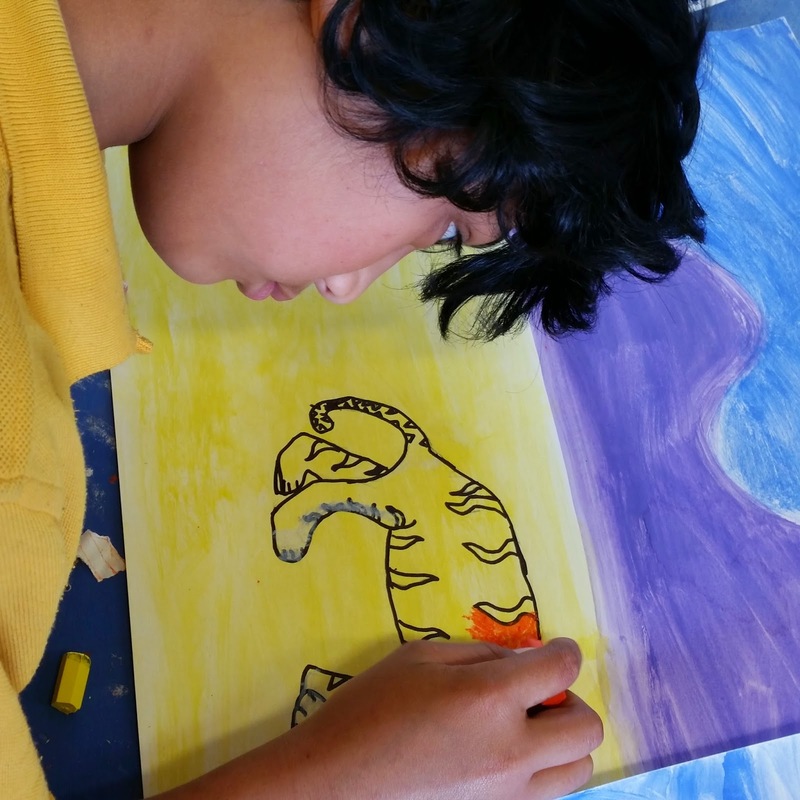 WALT: use a colour wheel to create perspective in our artwork. 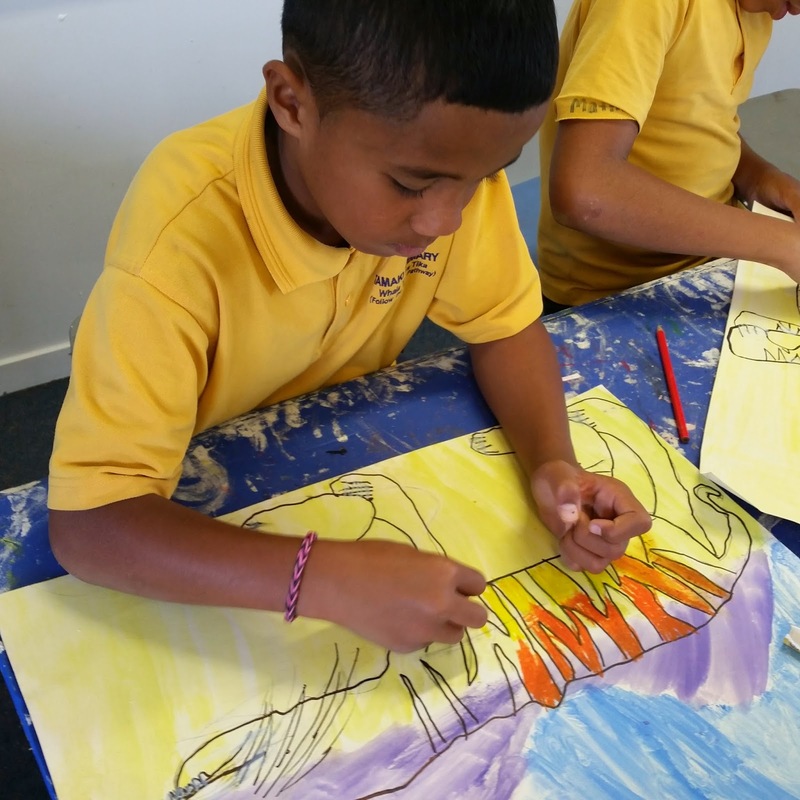 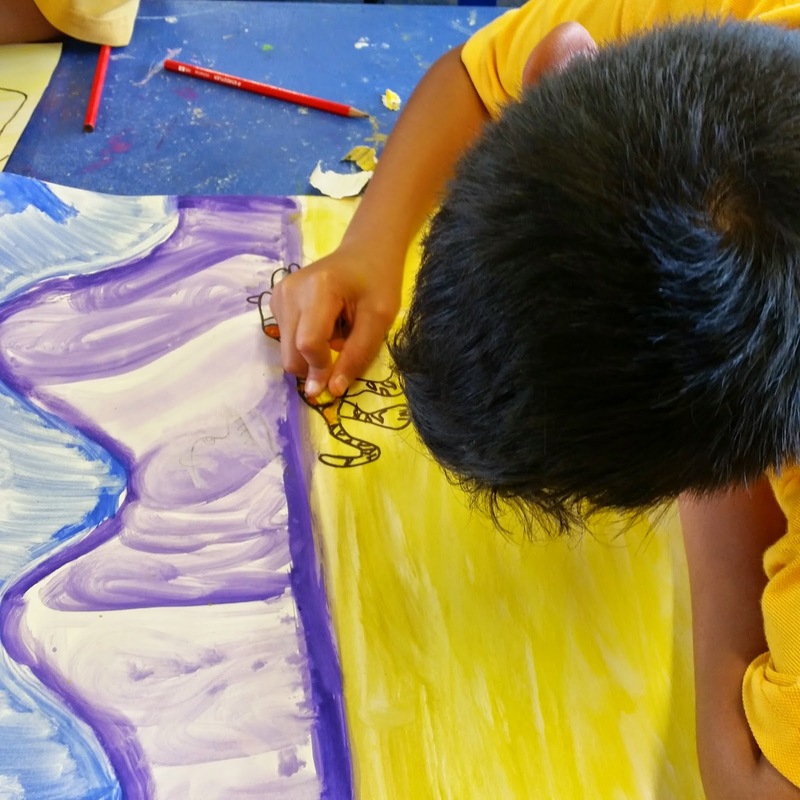 Here are some images of us sketching, painting, and creating our SPECTACULAR pieces of artwork! 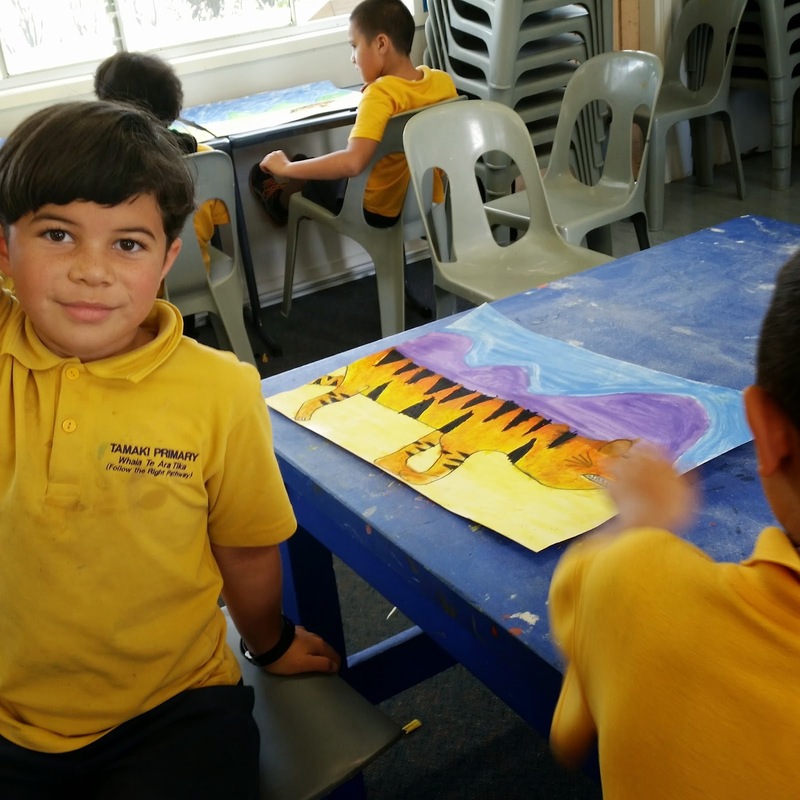 Our favourite part was learning about how to use watercolour paint. 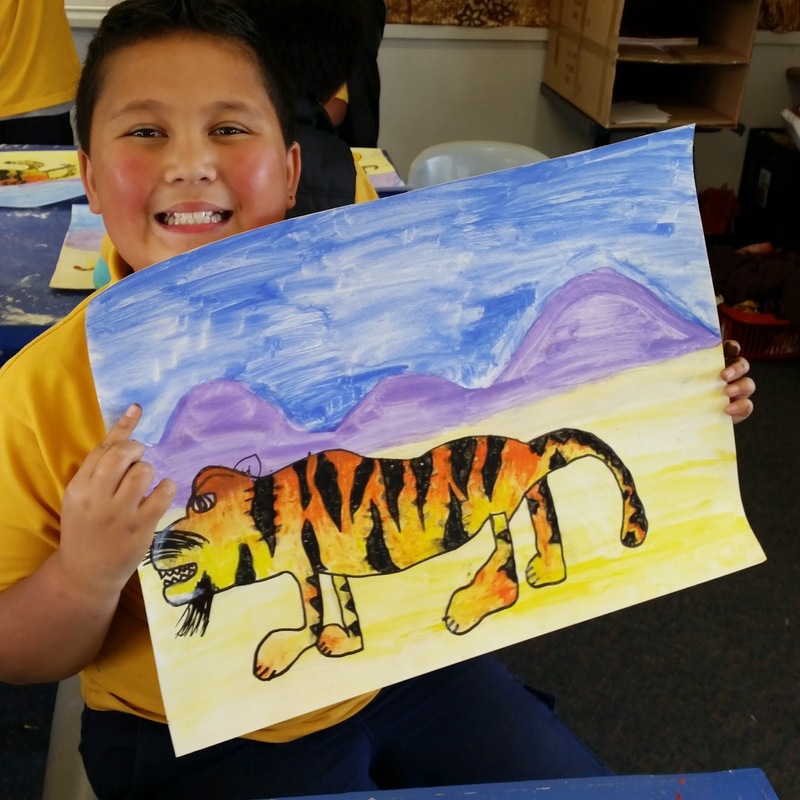 Next time, we would like to spend more time learning about how to sketch the different parts of the tiger.